ARE WE TALKING AMPS OR WATTS? 2. HOW MANY SOLAR PANELS DO YOU NEED? Sailing uses the power of the wind to move, so why not use the power of the sun to charge your batteries? 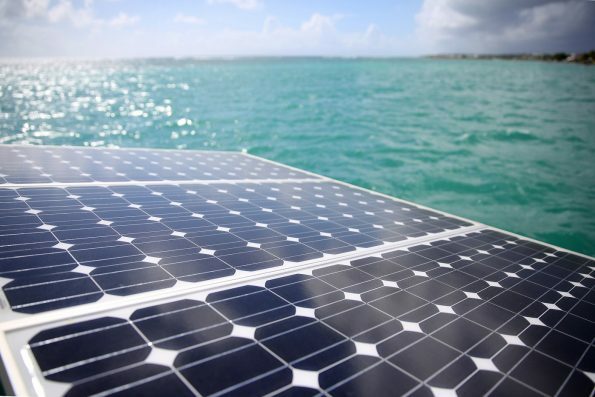 Solar panels offer the best way to charge boat batteries. This method can also save the engine from being used just for charging. 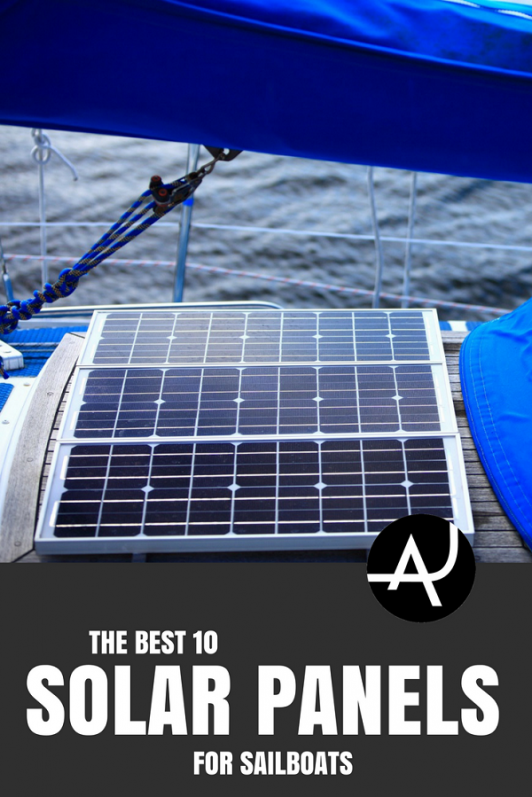 Getting the best solar panels for sailboats means choosing the right size and power for your boat. But, how much power will you need? 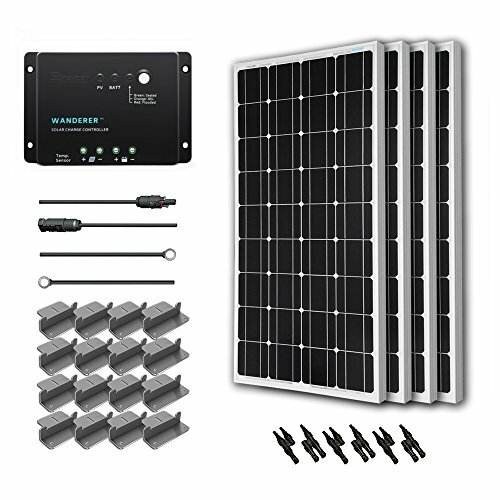 Will your panels be able to keep up even on cloudy days? Do you plan to sail in cold water or deep in the tropics? Do you need the panels to sit on a curved surface? 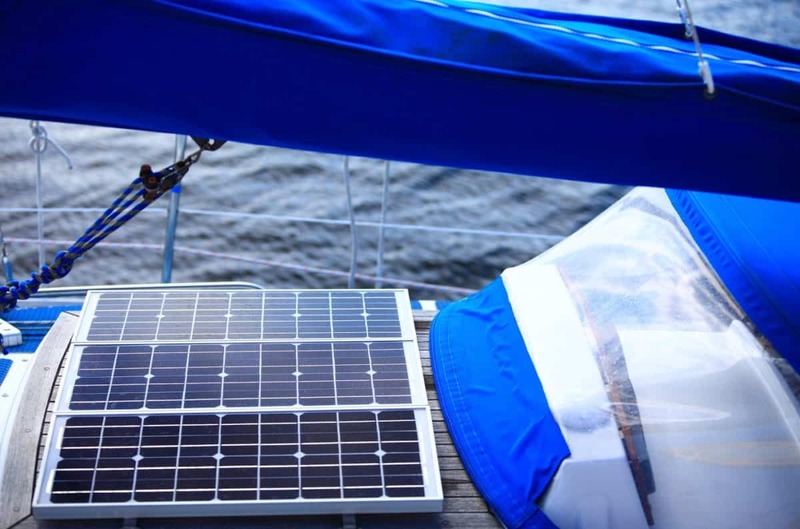 There’s a surprising amount of factors to consider when purchasing sailboat solar panels. Whether you’re replacing old panels or buying for the first time, let us do the hard work of comparing the best solar panels for your boat. 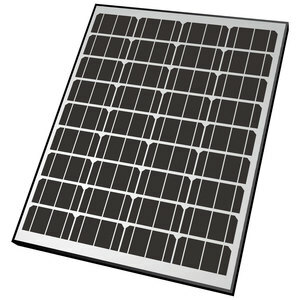 Buying solar panels for your sailboat involves more than going over a few models at random. You need to know how much power you’ll need daily. Also, you need to determine whether you will rely solely on solar power or use the engine as well. Will you use solar power most of or all the time? If yes, then you will need higher power, larger or more solar panels. If you plan to use the engine more, then you won’t need as much solar power. Your sailing goals come into play in this decision. If you want to cruise the intercoastal waterways, chances are you’ll be using your engine a lot. 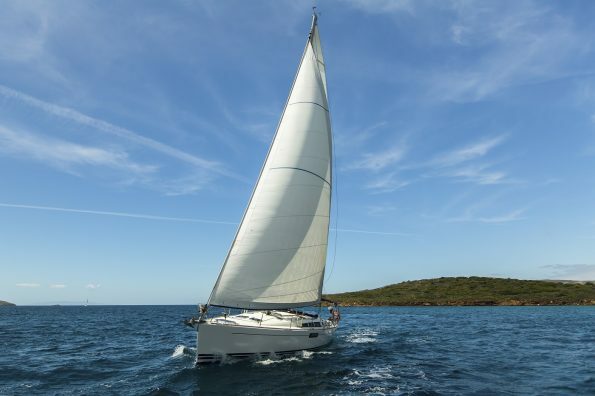 If you plan on cruising the Caribbean, you can often rely on good winds for sailing. Once you’ve worked out how you plan on powering your sailboat – solar and engine, or just solar – you’ll need to work out your daily amp draw. If you’ll be running a fridge, freezer, water maker, VHF and SAT NAV all day long, you’re definitely going to need a lot of power! It can be difficult to determine how many amps your sailboat will need, especially if you still don’t have all the electronics you plan to bring on board. Some products will give you an idea of their power draw in their technical specifications. For others that don’t provide that information, you may have to settle for an estimate. Once you have an idea of your daily amp draw, then you can work out the solar output required to keep up with that power draw. But there are other considerations too, namely, actual output vs maximum output. While a 90W solar panel might sound like it’ll give out 90W, remember that this is its maximum output. That is, it refers to a clean panel in full sunshine. It won’t be giving anywhere near that output on cloudy days. 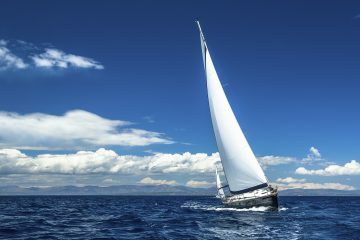 In the case of a fixed panel, ask yourself if the sail will be casting a shadow over it on one tack. Unless you plan on running the engine to top up the batteries on cloudy days, you will find yourself needing enough solar panel output for these times. Make sure to also consider the times when your panels aren’t giving out their optimum performance. If you’re starting in Nova Scotia, your fridge won’t take much power to keep it at a cool temperature. But, what happens when you sail south to go diving in Mexico? Suddenly, the water temperature is higher and the fridge would have to work twice as hard to stay cool. 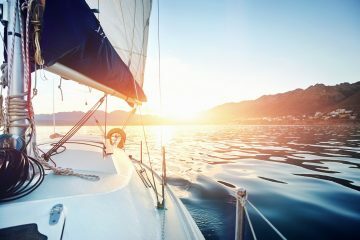 While good insulation is a bonus on a sailboat, it’s important to remember that atmospheric changes like temperature may mean an increase (or decrease) in your power requirement. 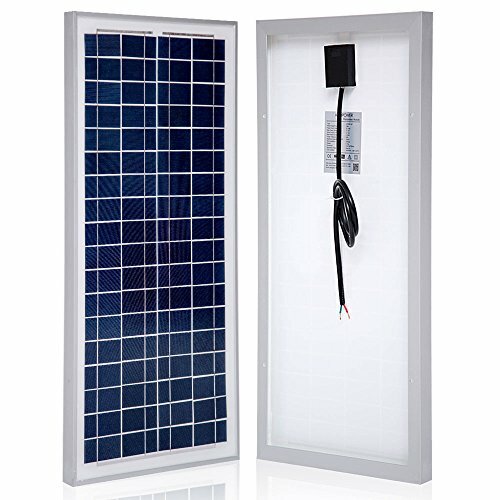 While you need to know how many amps your sailboat will draw on a daily basis, solar panels are sold by watts. There’s no need for that to be confusing though, as we’ve also provided the amps in the chart. You can read more about watts and amps to get a better understanding. Many sailboats have more than one solar panel. This means you won’t need to move the panels to follow the sun or as the boat shifts at anchor. Having multiple solar panels also allows you to have smaller panels, which tend to get in the way less. Your required power output can be divided among them as well. 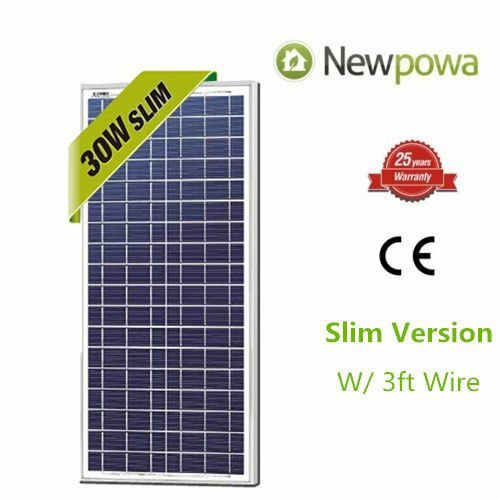 If you need 200W a day, then you could have three 90W solar panels on different parts of the boat and be covered power-wise, even on different tacks. How much space do you have on deck? Where you place your solar panels is very boat and sailor dependent. Day-sailing in hot places? 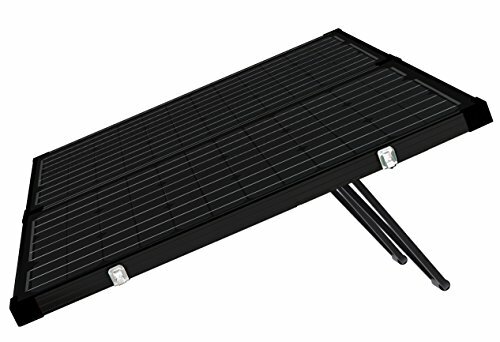 Solar panels on the bimini rack are an easy solution. Long-distance cruising? You’ll need solar panels that are efficient yet out of the way to improve windward performance. If you spend a large amount of time on board, your energy consumption will be higher. You’ll need your solar panels to be as efficient as possible. Many cruisers have panels on top of gantries on the stern to keep them in sunshine all the time. This is terrible for sailing performance, so you have to think about where you want to compromise. Don’t forget to consider the other on-deck items, such as your paddle board, as well. 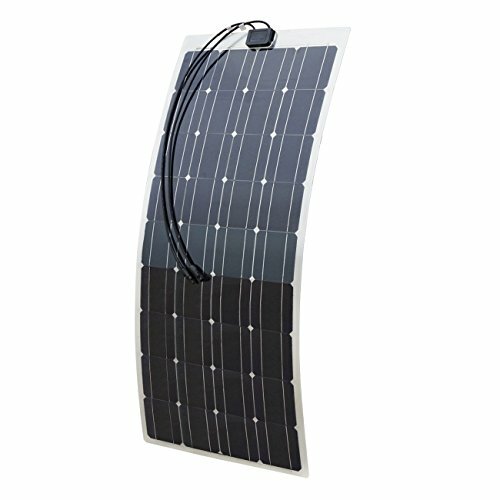 Solar panels generally come in two types: mono- and multicrystalline and amorphous thin film silicone. 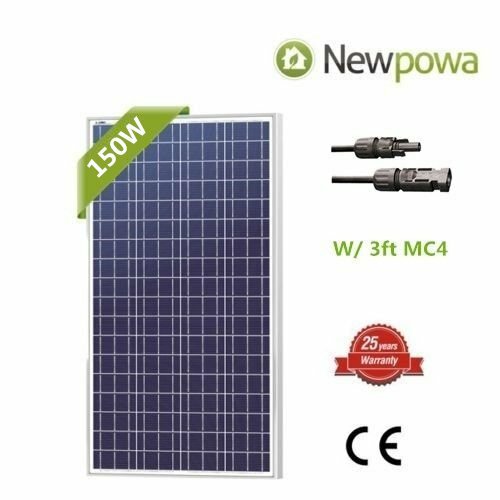 However, all solar panels listed in this article will be mono- or multicrystalline as they are the most effective. 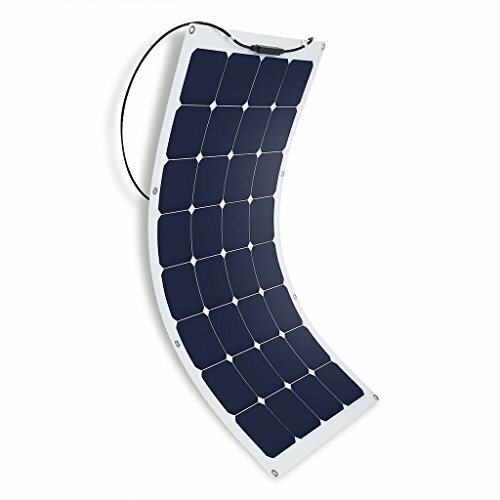 Efficient and sturdy, these panels will probably make up your core solar panel collection. For everything on board like lights, fridge, radio and navigation electrics, mono-and multicrystalline are your best bets. They aren’t forgiving on cloudy days though, and even a shadow over the corner of a panel will pull down the output by a lot. Not as efficient as crystalline panels, amorphous panels are cheaper and flexible. They’re good for trickle-charging batteries while the boat is left unattended. Solar panels are expensive, but their prices have been dropping over the years. If you only use your sailboat for summer weekends, chances are you won’t need pricey, hyper-efficient panels. 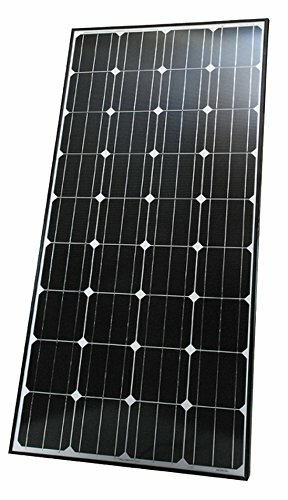 You just need enough to keep up with your power consumption for two days a week and let the trickle-charge solar panel do the rest. Take your solar panel budget and split it between the number of solar panels you think you’ll need. Keep in mind though that you’ll most likely need to buy a charge controller as well.